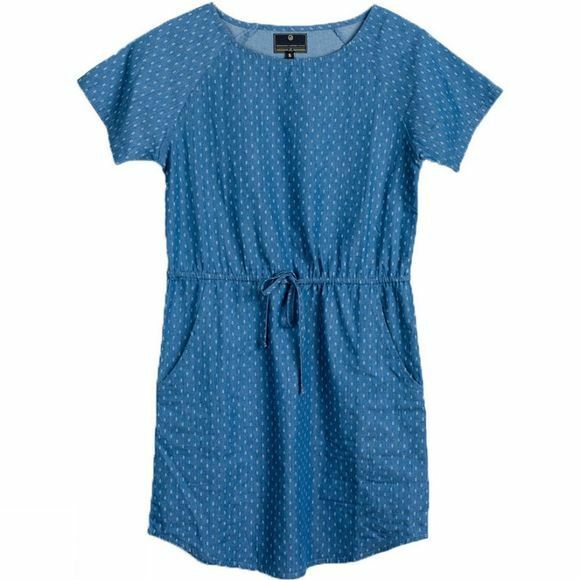 The Women's Maddison Chambray Dress from United By Blue is a cute everyday dress that will keep you feeling comfortable in warm conditions. Whether you are on your travels or relaxing in some home time sunshine, this dress is ideal. It's flattering fit will make everyone think you have spent time over your outfit when in actual fact you just threw it on this morning in full confidence that it wouldn't let you down.